Born into a Bombay-based business family, Ali’s first act of rebellion was to leave the safety of the family trade and join sculptor-teacher D. P. Roy Chowdhury in Madras to learn art. After training in painting, textile design and photography, Ali learnt not only the strict discipline of classical art, but also engaged, along with other artists, in an intense search for a modern Indian idiom for the arts. Sultan Ali’s determination to become more ‘Indian’ arose from a deep conviction that much of modern European art was formalistic and ‘cold’. 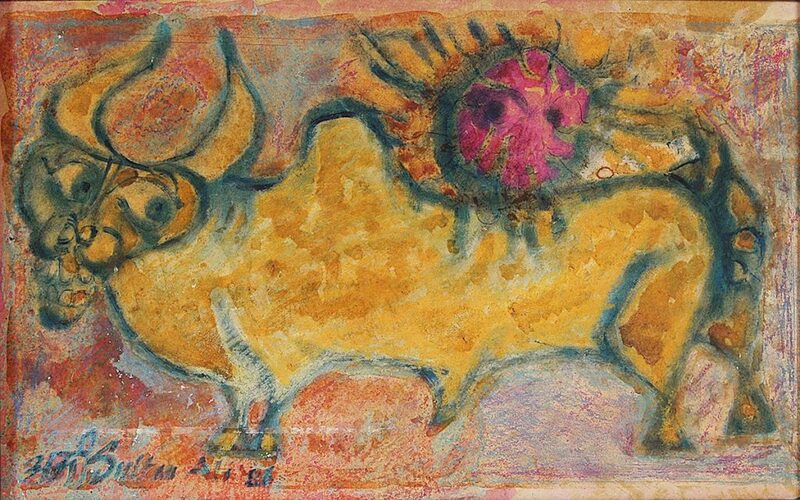 In search of his own style, he discovered Indian tribal art and was struck by its freshness and directness. Further inspiration came from reading the works of Verrier Elwin on cultures that used symbols in fresh ways, distinct from the established norms of classical art. Excited by his readings, Ali engaged in communication with the Bastar tribal community and from then on, the artist began perfecting this newly-found style. 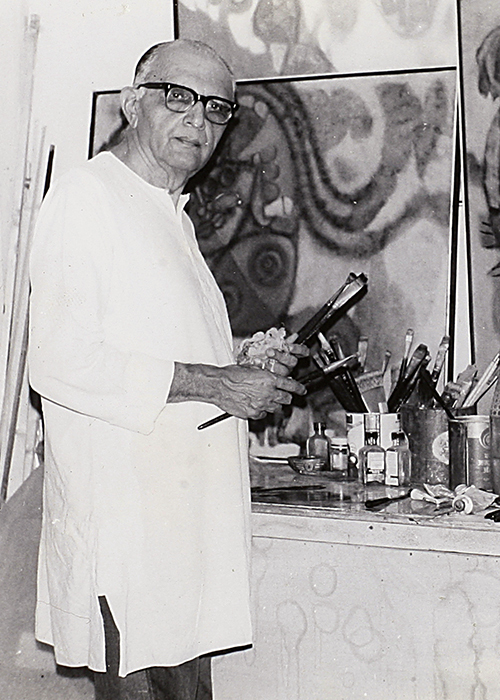 Sultan Ali drew inspiration from Hindu mythology, studying deities in the complexity of popular worship, narratives and iconography, in particular studying the techniques of folk-artists. 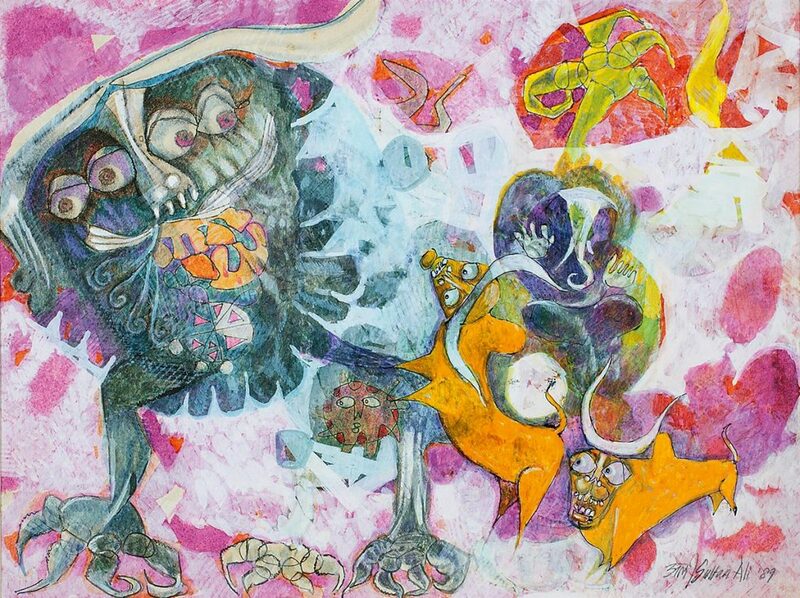 His Naga-Panchika and Ganesha series are manifestations of that phase. A further search for new imagery had him turn to calligraphic symbols of words and sounds to convey their philosophical depth. 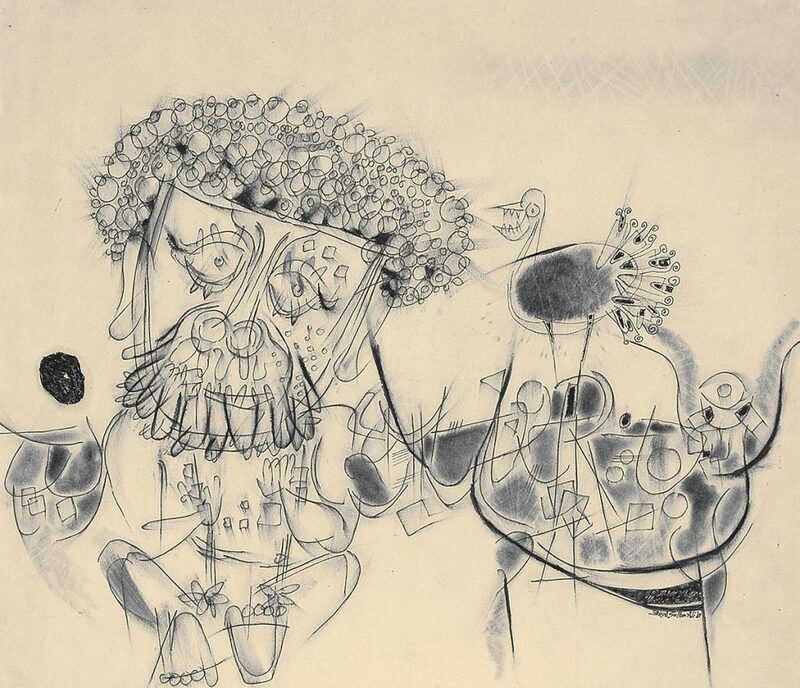 Critics have often viewed Ali’s works as primitive and grotesque, describing them as expressionist. 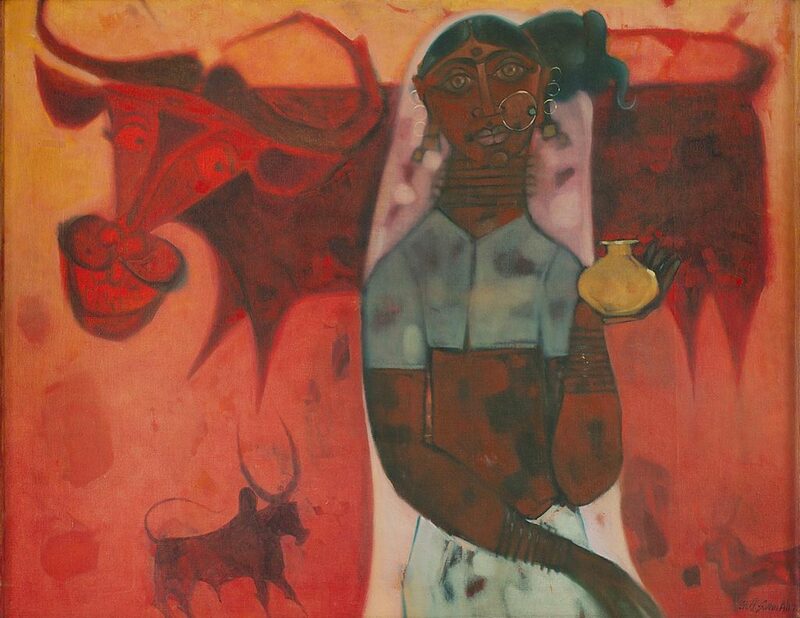 Ali joined the Progressive Painters’ Association, Madras, in 1954, and taught art at the Rishi Valley School in the early Fifties. 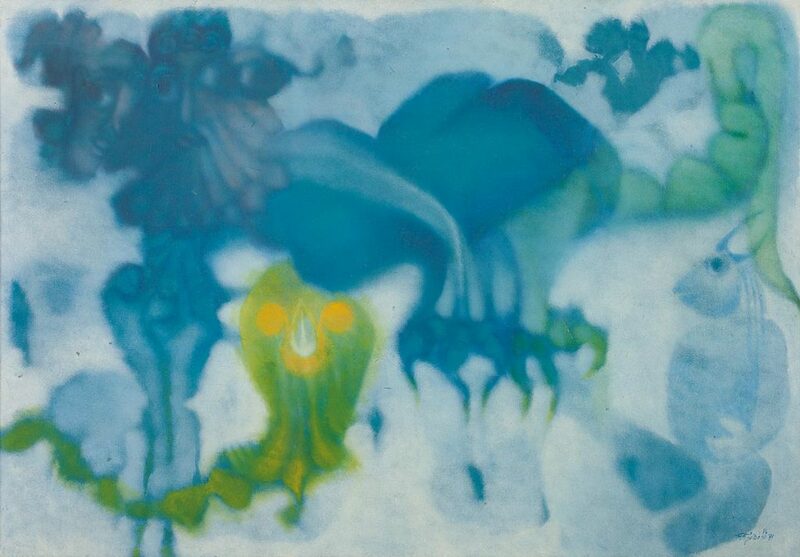 He was honoured with the Lalit Kala Akademi National Award in 1966 and 1978.